PARIS (Petra) – Jordan and Palestine, supported by Arab states, succeeded to pressure Israel, for the first time since 2004, to accept and facilitate a UNESCO experts’ mission to investigate and assess the status of heritage and conservation of the Old City of Jerusalem and Its Walls. A statement issued by Jordan and Palestine State Delegations to UNESCO said the mission will start its work in Jerusalem on May 15, 2013 and it has to present its report and recommendations before June 1st, 2013, just before the beginning of the World Heritage Committee 37th session. The Jordanian Palestinian achievement comes as the first result of the recent agreement signed between His Majesty King Abdullah II and President Mahmoud Abbas for the purpose of defending al-Aqsa Mosque and the Jerusalem Islamic and Christian Holy Sites. The agreement aimed at consolidating the Jordanian-Palestinian historical cooperation in protecting Jerusalem Holy Sites from the continued and flagrant Israeli violations, especially at the international forums, including UNESCO. The Israeli commitment came in an official letter presented to the UNESCO Director General Madam Irina Bokova and in a statement read out today by Israel in front of the current UNESCO Executive Board 191st Session in Paris. The experts’ mission mandate will also include a follow up on the progress of UNESCO action plan for safeguarding and conserving the Old City of Jerusalem and Its Walls. The action plan was prepared by UNESCO in 2003 in accordance with the fact that the Old City of Jerusalem and Its Walls is registered, by Jordan, as a World Heritage Site in 1981 and World Heritage Site in Danger in 1982. Israel has also been pressured to accept to participate in a UNESCO technical meeting on the recent Israeli violations against the area of the Buraq Wall and the Magharbeh Gate Pathway in Paris next month. Jordan and Palestine condemned, in UNESCO resolutions, the Israeli absence from a similar meeting that was held at UNESCO on April, 18th 2012. 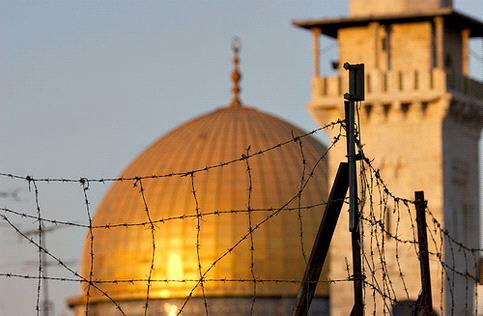 Representatives of Jordan and the Palestinian State at UNESCO have also made two statements warning of the continuation of the recent Israeli escalatory violations against the Holy Sites and against the authenticity of the heritage of the Old City of Jerusalem. The two statements also warned Israel of violating its commitment made in front of the UNESCO delegations. They both explained that the ball is now in the Israeli side, which shall prove to the universe that Israel commits to its international obligations. The Jordanian statement stressed that if Israel commits to facilitate the mission and to stop the violations as well, it should not be concerned of "politicization of UNESCO", as Israel and the US claim every time the subject of Jerusalem is discussed at UNESCO. Since 2004, Jordan and Palestine have issued annual UNESCO resolutions condemning the Israeli Occupation’s violations against Jerusalem and demanding Israel facilitate the UNESCO experts’ mission for safeguarding and conserving the heritage of the Old City of Jerusalem and Its Walls. Israel has not complied to these calls until today in an attempt to keep its violations covert and to impose its occupation plans on the ground. Jordan and Palestine have issued tens of UNESCO resolutions demanding the Israeli Occupation to comply with the 1954 Hague Convention for the Conservation of Cultural Properties under Military Occupation, the 1970 Geneva Convention, which forbids the illegal smuggle and move of cultural properties and the UNESCO 1972 Convention for Safeguarding Cultural and Natural Heritage.